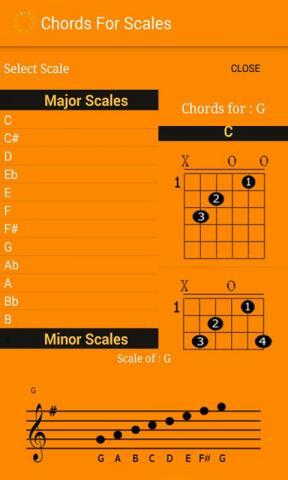 This application shows chords belonging to each tonality. You can also check how these chords are formed on the guitar fretboard. Useful to compose or change the key of a song.